This fun hunt is easy to make! All the printables are on the pin here. You would just print out the clues and hide them! In the end, you would hide their treasure under their breakfast plate! 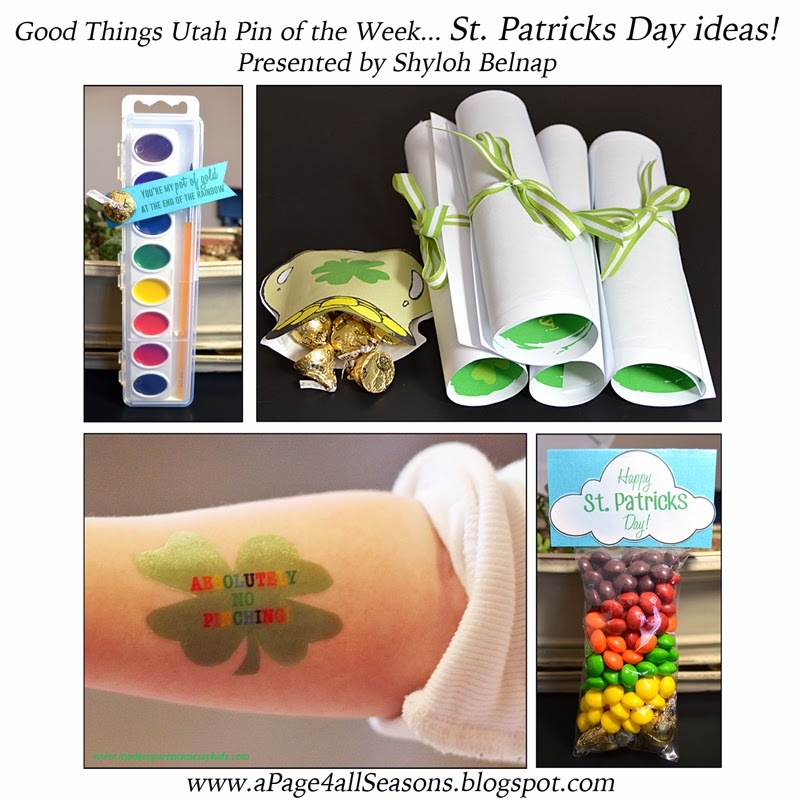 TIP: On this pin, the blogger stapled her little pot of gold all the way around to put the treat in. For me, I cut the corner of a baggie and then taped the side back and put the printable on the front and back of the baggie. I loved how it looked more “clean”! Super fun idea! 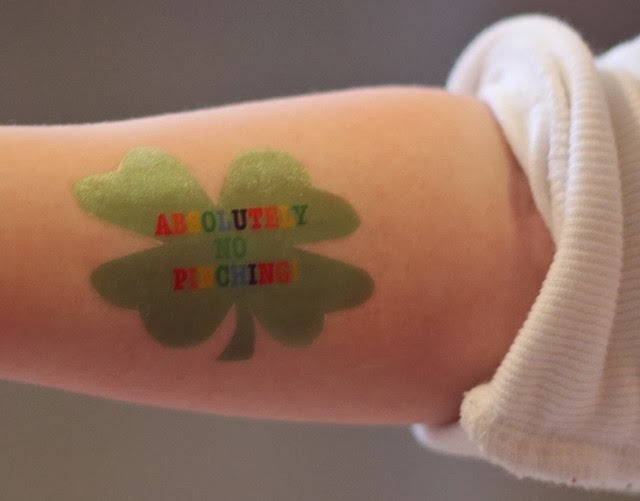 All you need to do is head to this pin and print out the tattoo on tattoo paper. I found this paper on Amazon. Here is the link! 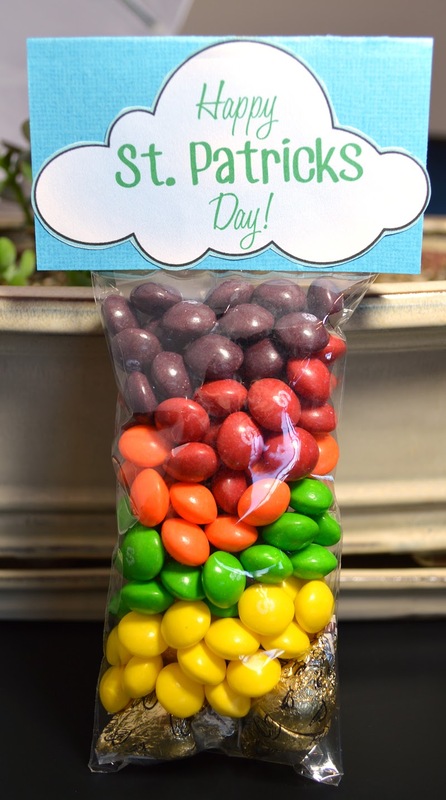 I saw this pin and just loved the idea of making these for Brayden’s class friends. I couldn’t find a printable so I made one you can use just click here for it! TIP: I bought a ROLL of Rolos and oops! They are not individually wrapped in gold wrappers! So - make sure you buy a bag of individually wrapped rolos. I couldn’t find them when I went to the store so I bought Hershey Kisses with almonds instead, and they seemed to work! I thought this pin was such a fun idea! 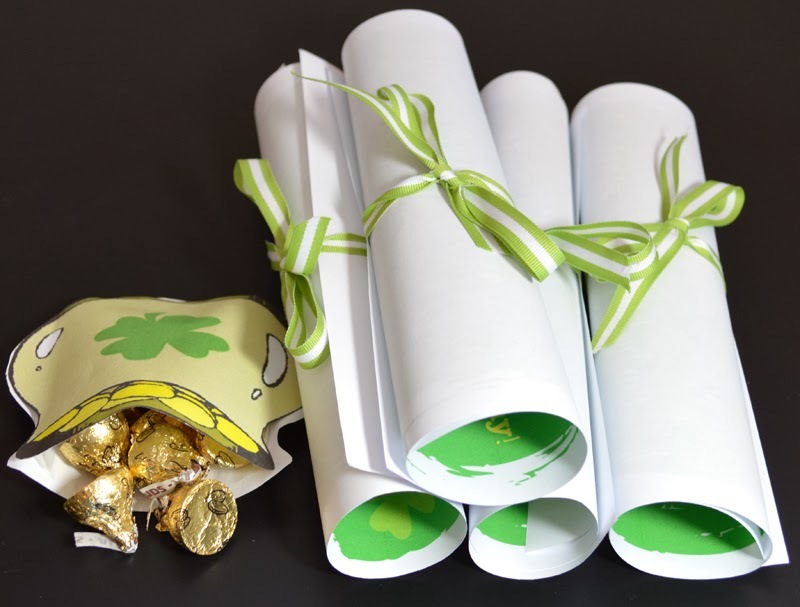 How fun to just grab some clear bags (you can get them at a party supply store or just fold a baggie in half and tape it to make it skinny), Rolos or Hershey Kisses with almonds and Skittles to make this easy gift! I made a printable you can just print off and stick to blue paper for a topper!